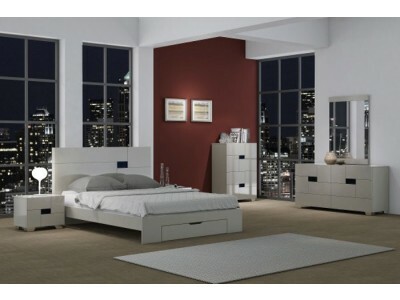 Aria bedroom set in white color finish includes modern lines pattern and small black square inserts. 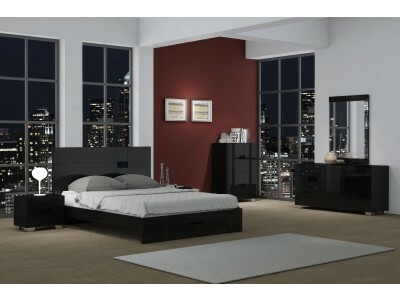 Platform bed does not require a box spring and includes storage drawer in the front. Dresser, nightstands and chest have large smooth closing drawers.